Good Things Number 3: ALTC’s new club! 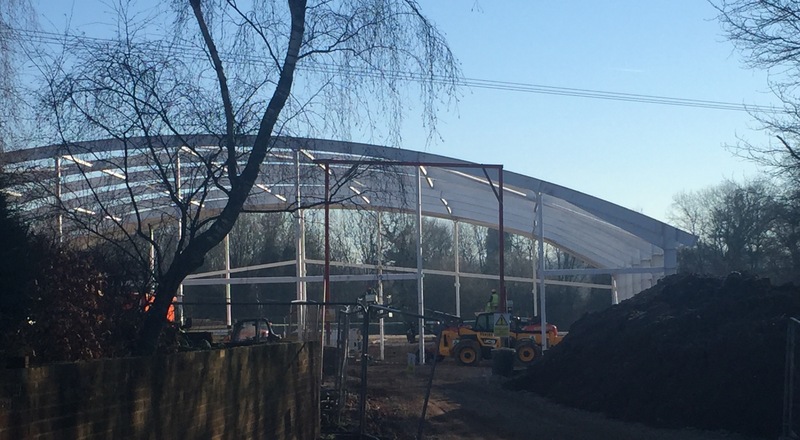 So thrilled to see Andover Lawn Tennis Club’s indoor courts being built. Very exciting and most definitely a good thing. Good Things Number 2: a frog! 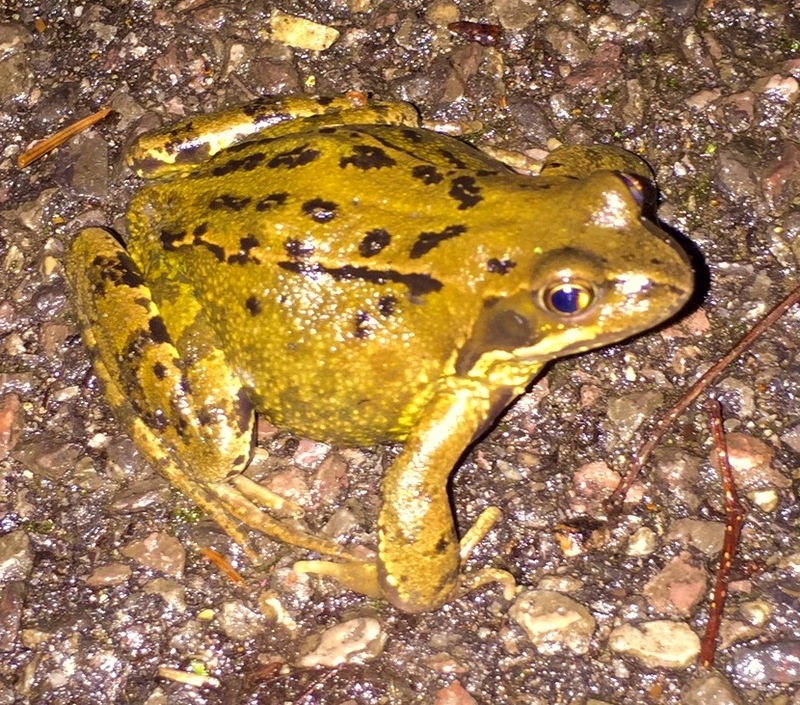 As Father of the Tribe and I arrived home after having dinner the other evening, I almost stood on a frog: a common frog. A light olive green with dark splodges, it sat silent and still as I marvelled at it. Father of the Tribe humoured me – he knows what I’m like. But to me seeing the first (live) frog of the year means that frogspawn must be about and soon enough the rivers and streams around us will be full of tadpoles. Fortunately, the Tribe share my interest! A common frog: my second good thing! Good Things Number 1: eggs! I’ve been thinking about things that make us happy or that bring a moment of pure joy, so I’m beginning ‘Good Things’; not stuff that costs lots of money, but the simple pleasures of life: objects and moments. 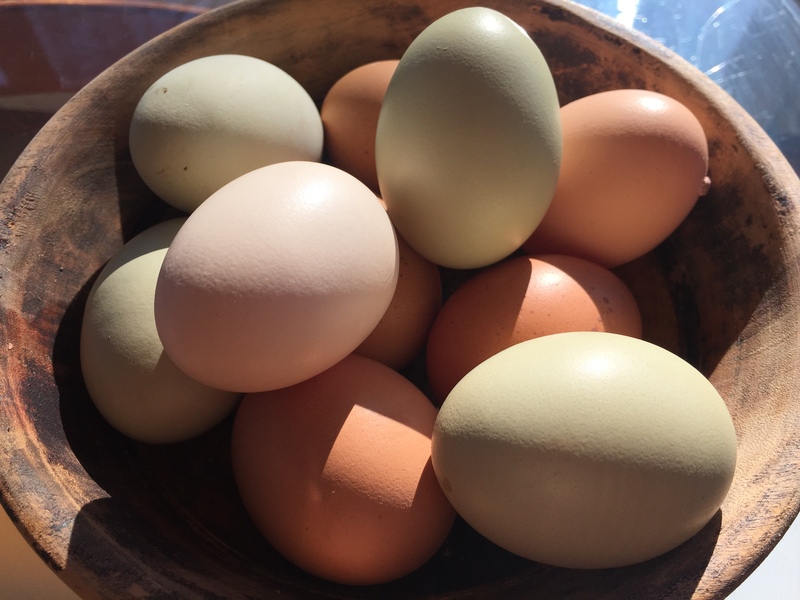 A friend gave me a clutch of eggs the other day, but it was only when I opened the egg cartons to use them that I realised how utterly glorious their colours were. I made the Coconut and Lime Angel Food Cake from Waitrose’s ‘Martha’s bakes’ using the 10 egg whites. It obviously went down well with the Tribe, grandparents and cousins, as, by the time I remembered to take a photo, there wasn’t much left. 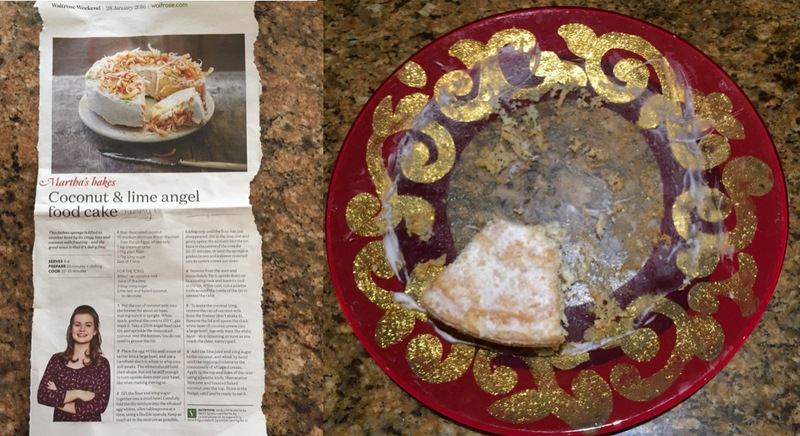 Six yolks were used in a yolk only cake that was an utter disaster in the appearance category, but tasted heavenly when broken up – like a biscotti without the nuts. 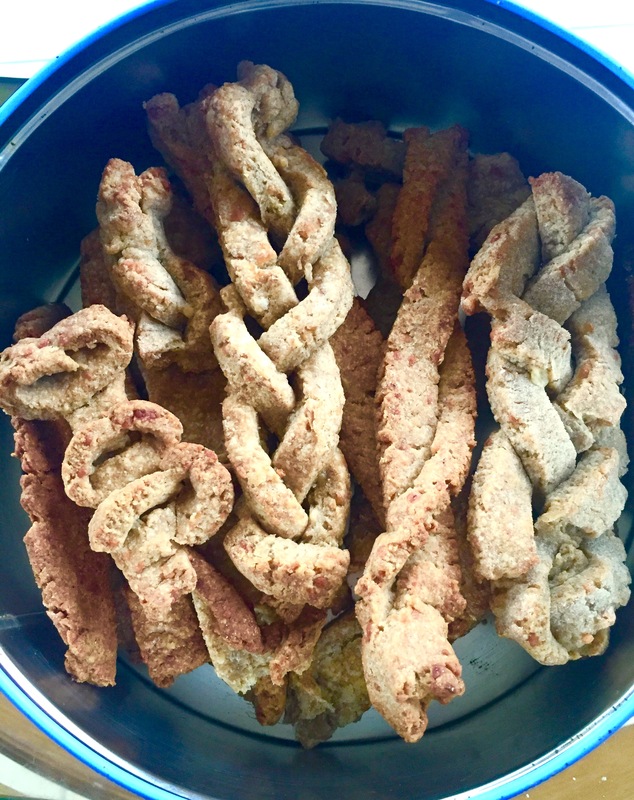 The remaining 4 yolks were used by the Eldest to make cheese straws, which she finished making with a friend the following day. Beautiful eggs; my first Good Thing.